“You’re all seeing this…is he Dead?”…. 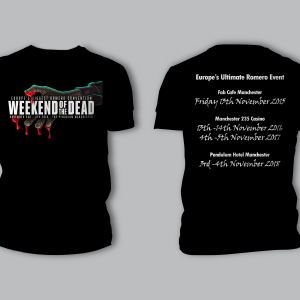 We are extremely proud to announce our 13th and probably our final Guest for Weekend of the Dead. Patricia Tallman joins William Butler and Tom Savini in a fantastic lineup in what will be a celebration of not only the 50th anniversary of Night but also the remake. Patricia of course not only was the leading lady Barbara in NOLTD 90 but she was also in Romero’s classic film”Knightriders” as Julie Dean. Tom Savini cast her as a werewolf mom in a “Tales From The Darkside” episode “Family Reunion” after her stunt work in “Inside The Closet”. Pat was also on the stunt team for Creepshow 2, and Monkey Shines. Patricia’s career has been very varied in Movies as well as TV, which is reflected in the army of fans who follow her characters from the very popular Star Trek and Babylon 5. She appeared in over 50 episodes of the Star Trek franchise TNG, DS9, Voyager and starring in Babylon 5 as Lyta Alexander. Some of her other horror appearances were in Army of Darkness as the The Horror Hag alongside Bruce Campbell and of course a more recent return to the Zombie genre in 2009 as Lucy in Dead Air. In addition to being on the Star Trek stunt team, Pat’s long list of credits as a stuntwoman include, Jurassic Park, Forrest Gump, Godzilla, Road House and 2 of the Austin Powers films. 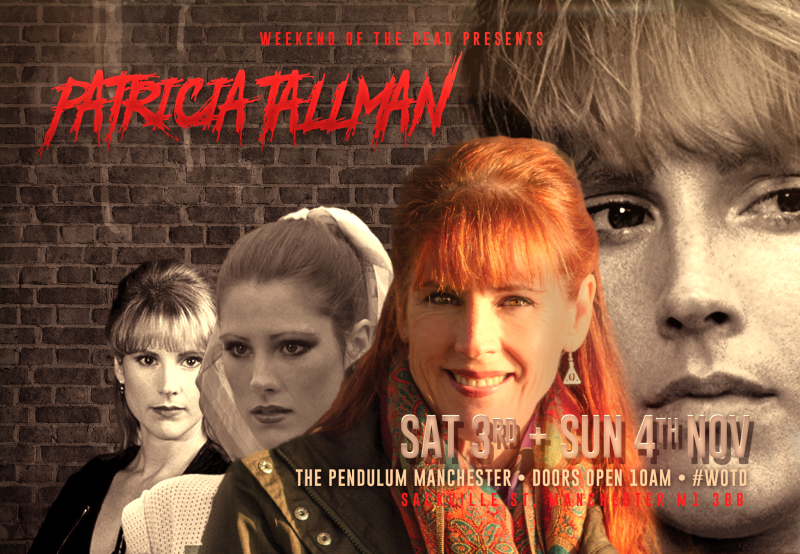 Check the schedule and be sure to catch her talk during the weekend NOTLD 90 panel, so please give a massive warm Weekend of the Dead welcome to Patricia.